After 'Avengers: Infinity War,' What in the Hell Happens Now? “Avengers: Infinity War” leaves the situation in the Marvel Cinematic Universe in a precarious, and fairly horrifying, state. Despite an unprecedented uniting of heroes, Thanos manages to gather the all-powerful Infinity Stones and achieve his ultimate goal: Eliminating half of all life in the universe from existence. 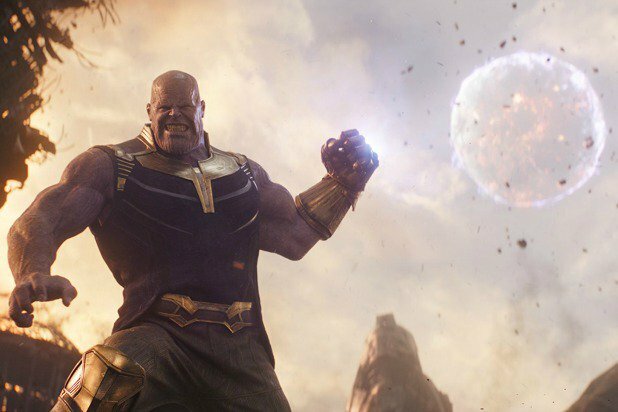 With a snap of his fingers, Thanos causes a huge number of people to simply vanish into clouds of dust, including most of the MCU’s stable of superheroes. 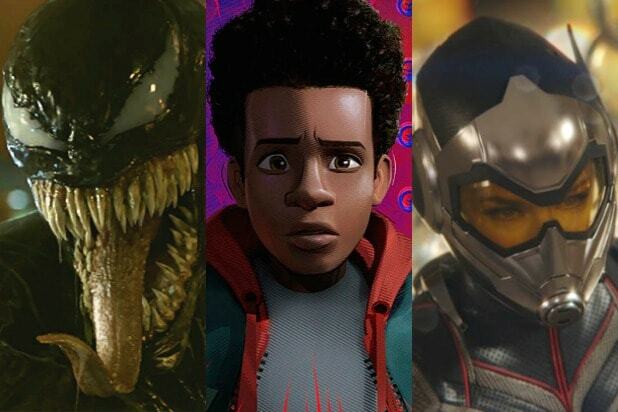 People like Falcon, Black Panther, Star-Lord, Scarlet Witch, Mantis, Doctor Strange and Spider-Man, they’re all dead now. Thanos won, and the Avengers and their allies lost. But, clearly, the story of Thanos and the Infinity Stones is far from over. There are quite a few plot threads still up in the air, as well as major characters who didn’t make it into “Infinity War,” not to mention that we’re getting another “Avengers” movie just a year from now, with two other movies in between. So what in the hell happens next? First up, there’s “Ant-Man and the Wasp,” out in July, which we know is set, or at least begins, before the events of “Infinity War.” We also know that that movie resolves a plotline from the first “Ant-Man,” about how Janet van Dyne, who suited up as the Wasp with original Ant-Man Hank Pym, was lost in the Quantum Realm. That’s the space between molecules and atoms, so small Pym thought Janet could never return from it, and presumed her dead. But Scott Lang, the current Ant-Man, managed to make it back from the Quantum Realm in “Ant-Man,” reigniting Pym’s hope in finding his wife Janet. For a much deeper dive into how “Ant-Man and the Wasp,” and travel into the Quantum Realm in particular, could play into that “Infinity War” cliffhanger, check out our closer look right here. The same goes for “Captain Marvel,” the second of the two MCU movies between the two “Avengers” movies, and the one that was directly referenced in the post-credits scene in “Infinity War.” Nick Fury’s final act before he ceased to exist because of Thanos was to contact Captain Marvel, real name Carol Danvers. That’s probably because Danvers has some serious connections to Thanos. Her story is set in the 1990s, and her origin concerns her meeting up with, and teaming up with, Mar-Vell, an alien of the Kree race. We first saw the Kree, who have an empire out beyond Earth, in “Guardians of the Galaxy.” Ronan the Accuser, the blue villain of that movie, was a Kree warrior. Mar-Vell is a minority white-skinned Kree, which allows him to blend in as human, and in the comics he visits Earth in order to spy and asses humanity’s space flight capabilities and potential to threaten the Kree empire — but he winds up becoming a superhero instead. Eventually, Danvers is subjected to a Kree weapon that merges her DNA with Kree DNA, giving her incredible powers on par with Mar-Vell. In the comics, Mar-Vell has a long history with Thanos. He previously stopped his universe-controlling machinations and was even named a “Protector of the Universe” specifically to oppose the mad Titan. But Mar-Vell eventually died, and Danvers took up the mantle of Captain Marvel. All that comics lore can easily be linked back to “Infinity War” as we know it: If Mar-Vell was fighting Thanos, he might have delayed the Mad Titan’s quest for the Infinity Stones. He could have also given his knowledge of how to deal with Thanos to Danvers before he died. That would explain why Nick Fury contacted Danvers in his final moment: She’s been waiting for Thanos’ arrival. The question then becomes, why hasn’t she been called to action before? That’s almost certainly a question we’ll have to wait until March, when the “Captain Marvel” movie hits theaters, to get an answer to. We also delved much deeper into the many ways “Captain Marvel” will be important to what happened in “Infinity War” — we’re honestly expecting it to function as a direct prequel to the battle with Thanos — and you can read that right here. Also Read: 'Avengers: Infinity War' Post-Credits Scene Explained: What Logo Was That on the Pager? Then there’s the matter of Doctor Strange. During “Avengers: Infinity War,” Strange uses the Time Stone to delve into the future and try to find a scenario in which the heroes manage to beat Thanos. He reports back that of the more than 14 million timelines Strange visited, he found one in which they were victorious. So presumably, his actions in “Infinity War” are Strange working to make that one reality come true, even though Thanos’ victory in this movie seems at odds with that idea. But that’s only the short view. Doctor Strange’s last words before he, too, turned to dust — “There was no other way” — indicate that the future he hoped to bring about is still very much in play, despite what feels like an extremely large setback. For a deeper discussion of Doctor Strange’s apparent long game, click here. It also seems like Gamora and the Soul Stone have a much bigger role to play in “Avengers 4.” In the comics, the main deal with the Soul Stone is that it traps souls within itself in a dimension called the Soulworld, and it seems “Infinity War” is going the same way, with Thanos finding himself briefly inside the orange Soul Stone world to talk to young Gamora. If that’s the case, there’s definitely more to the emotional conflict between Thanos and his adopted daughter than we’ve seen, and just because so many characters have died doesn’t mean they don’t still have a part to play in the future, since they may very well be stuck in that Soulworld now too. We also can’t forget the Time Stone’s ability to turn back the clock. Somehow, that seems like a very relevant power right now — though we don’t know if anyone is left who has the ability to use it. However, there is one big connection: Nebula. In the comics story she’s the one who eventually is able to rip the Infinity Gauntlet off Thanos’ hand — and she’s one of the few main characters who survived the purge in the movie version. Given Nebula’s relationship with Thanos in the MCU, it’s safe to say she’ll be pretty dang important in the next movie even without considering the “Infinity Gauntlet” comic. Anyway, it’s something to think about. We have a much more detailed rundown of the “Infinity Gauntlet” story and how it lines up with “Infinity War” and the situation in the MCU in general, which you can read right here. And then there’s Clint “Hawkeye” Barton, who sat out “Avengers: Infinity War.” What’s his deal? Is he hanging out with Scott Lang, doing tiny Ant-Man things? Is he going to come out of retirement after Thanos vanished half his family, angry to an extent we’ve never seen? Is he secretly a shapeshifting Skrull? Who knows? Of course, this is all speculation based on the story evidence left behind in “Avengers: Infinity War” and educated guesses about what we know about the MCU and Marvel comics. It’s very possible any number of other things we haven’t anticipated could come up. But there are a lot of pieces that seem like they’re coming together in “Infinity War” and beyond that seem very likely to have a big impact on the MCU going forward. How Will ‘Ant-Man and the Wasp’ Factor Into That Insane ‘Avengers: Infinity War’ Cliffhanger?